The Xperia Z4 tablet was released a few months ago but the Sony’s next flagship the Xperia Z4 is still awaited. Usually, Sony tends to launch its flagships together with the tablet version of the device but this time things are different. Recently, there were rumors that Sony wanted to wind up its smartphone division because it was not bringing any profit to the company but things took a pleasant surprise as the manufacturer withdrew its decision. Sony really does make some of the best devices in the world but they had not been able to gain a satisfactory market share they deserve. As an owner of the Xperia Z2 and Z3, I am of the opinion that the Japanese manufacturer needs to work on the design as most of the devices look pretty much the same from generation to generation. Besides, there are software related issues and locked the bootloader on all Sony devices that discourage users from rooting and modding their devices. I had to sell my Z2 after a couple of months because of there was no working root method for the phone. Sony must learn from Samsung, LG, HTC and startups like OnePlus. If you want to be a successful Android player and still play like Apple, you are not going to make any impact. Anyway, the Sony Xperia Z4 is expected to be released in Q2 this year but the stock wallpapers from the device have already popped up. 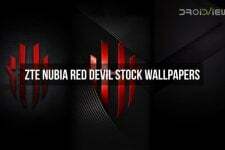 XDA member a.hamameh96 has managed to grab some wallpapers from the upcoming smartphone. He has also prepared some color variants of the original blue wallpaper from the Xperia Z4. Please note that the wallpaper pack shared below do not comprise of all the wallpapers that from the Z4. Most of them are renderings of what’s already available. Thus we have 41 wallpapers out of 21 are cropped portrait version of the original wallpapers. 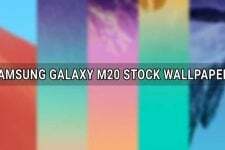 To download more stock wallpapers from other Android flagships, do not forget to take a look at our Wallpapers Section.